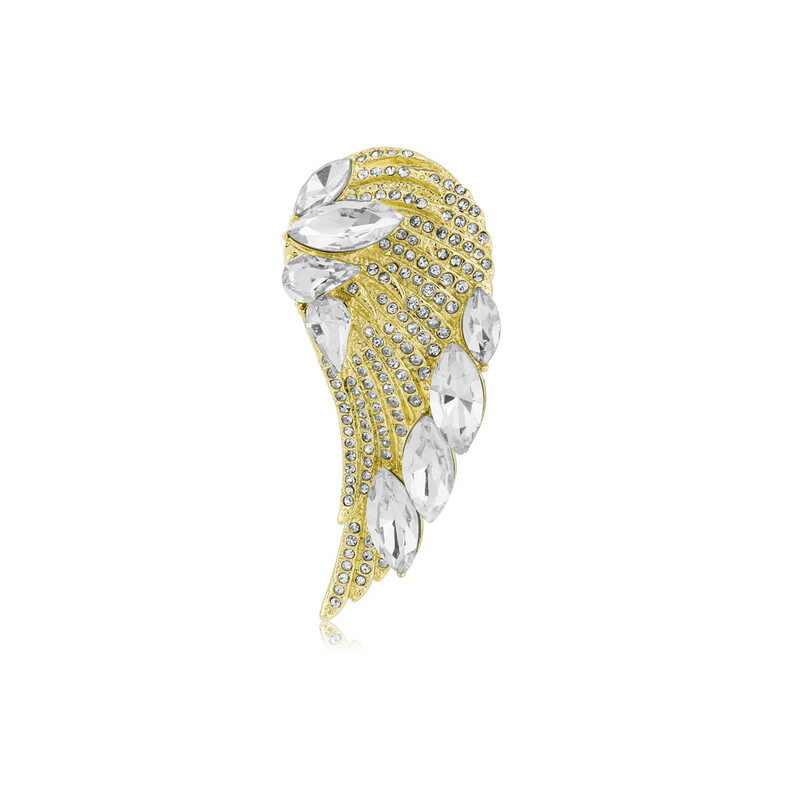 Words simply cannot describe the sheer beauty of the gold angel wing crystal brooch! Fabulous for pinning onto an evening or wedding gown. There's no disputing the sheer beauty of our Angel of Gold Brooch. Encrusted with petite and bold clear Austrian crystals set in antique gold tone, its sparkle and decadence is nothing short of mesmerising. Worn high on the shoulder of a fabulous evening or wedding gown, on a faux fur cape or classicly pinned to a lapel of a chic blazer, the timeless quality of this exquisite angel wing instantly adds a touch of Old Hollywood glamour. Aside from its beauty, angel wings have long been symbolic of protection, love, hope and guidance. If you adore jewellery with meaning or you are looking for a gift for someone special who would take comfort from the sentiment of knowing their guardian angel is with them, Angel of Gold Brooch would be the perfect keepsake to treasure forever.